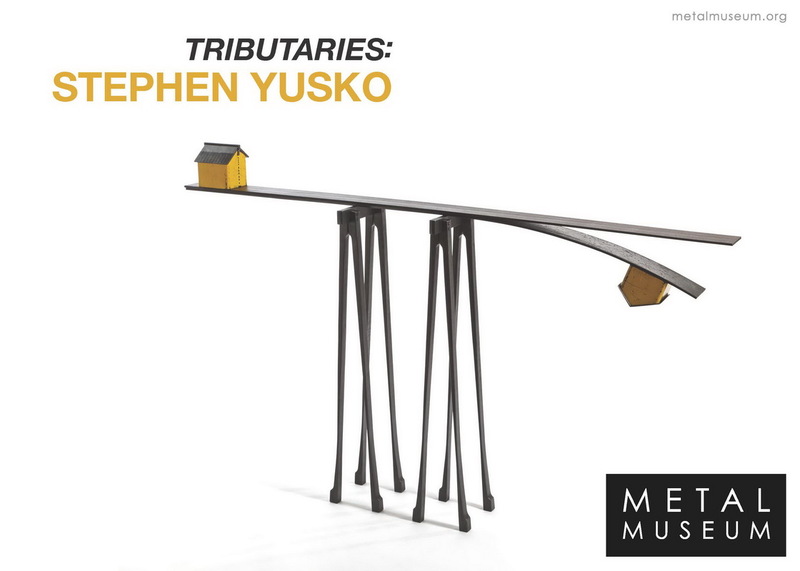 I’m pleased to have been invited to show Blue Box: Sanctuary and Transit in this exhibition. 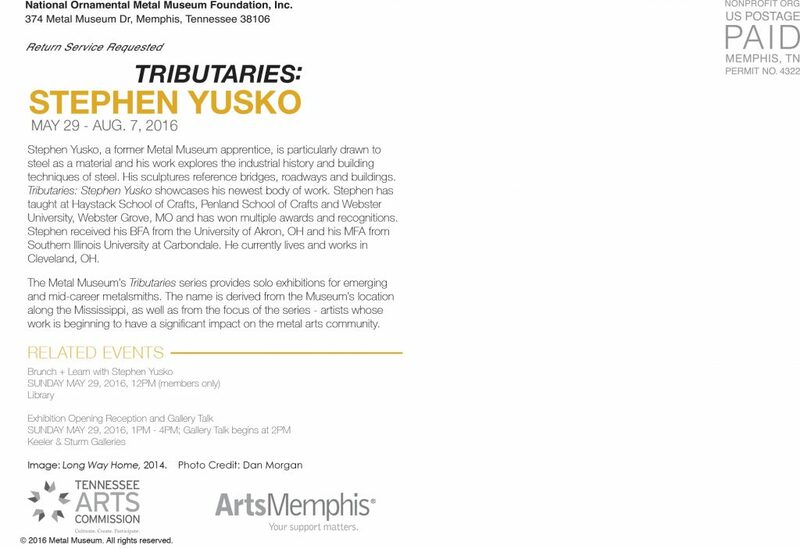 This exhibition is on view from March 4-April 16, 2016. View the gallery’s brochure for the show here. WBg brochure.pdf. I was awarded the Windgate Artist-in-Residency at SUNY Purchase (State University of New York at Purchase) for the 2014 Fall Semester. Each semester, the School of Art+Design at Purchase College invites one artist in residence (AIR) in applied design. This program is intended to advance the careers of practicing artists, to prepare students as professional artists, and to strengthen awareness of the significance of applied design. 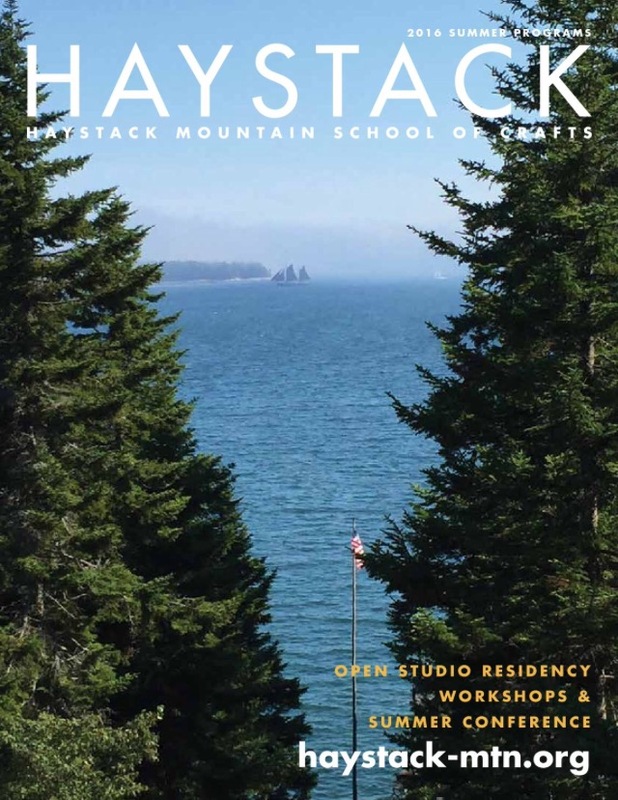 As part of the residency, each artist is given a solo exhibition in the Maass Gallery at the beginning of the semester following their respective residency. Thank you to Majestic Steel for the video profile of my studio…and a nice look at the city of Cleveland. 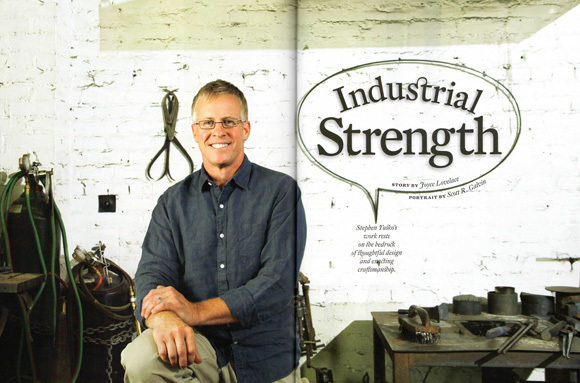 I’m so honored to be featured in the December/January 2014 issue of American Craft Magazine. My sincere thanks go to Joyce Lovelace for her writing, to Scott Galvin for the portrait, to Dan Morgan and Jeff Bruce for the beautiful images of my work and to American Craft Magazine. 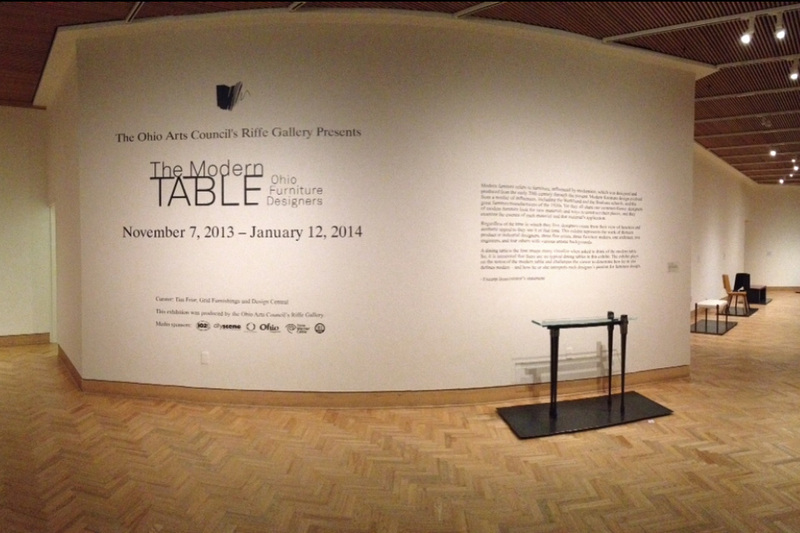 The Modern Table: Ohio Furniture Designers exhibition opened on November 7, 2013 at the Riffe Gallery in Columbus, OH. 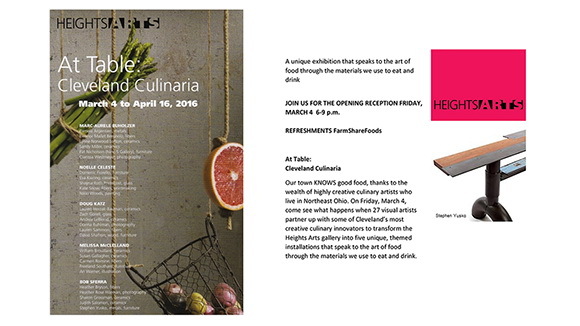 Cleveland-area artists/designers are well represented and I’m happy to be included in this group. Tim Friar curated a strong and diverse group of pieces for the exhibition and Mary Gray—along with her installation team at the Riffe Gallery—made it all look fantastic. Here are two links to follow if you’d like to know more about the exhibition or see more of the included work. 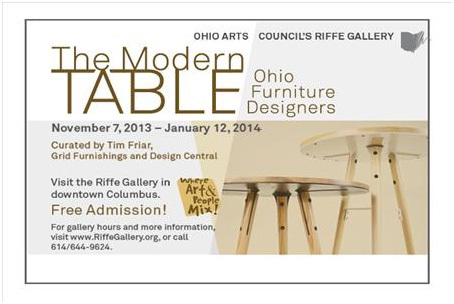 Curated by Tim Friar, director of business development at Design Central and owner of Grid Furnishings, The Modern Table: Ohio Furniture Designers showcases the works of 26 artists, including industrial designers, fine artists, furniture makers, engineers, an architect and others. The artists in the exhibition demonstrate how the process of modern furniture design surpasses a functional purpose and results in the construction of art pieces. 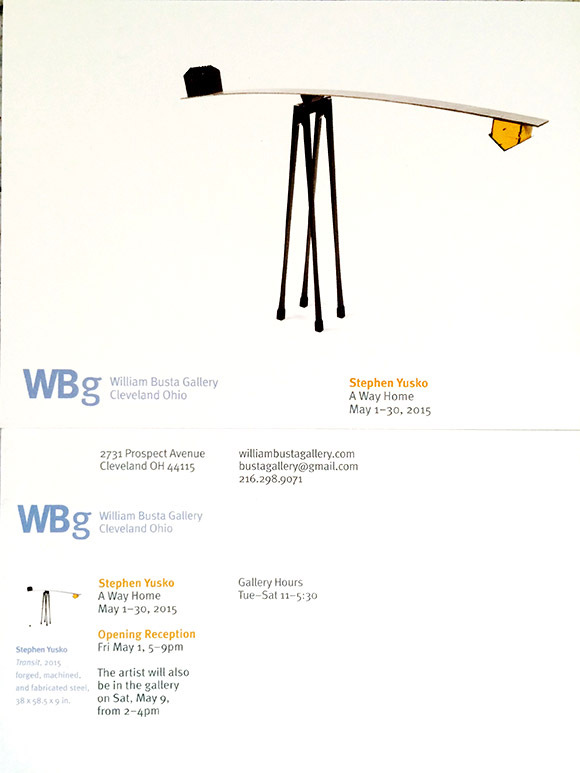 Artists in the show include: Alex Aeschbury, Cincinnati; Jeffrey Alexander, Worthington; John Arthur, Cleveland; Albert Barkman, Millersburg; Virginia Birchfield, Mount Vernon; Wendy Birchfield, Cleveland; Sam Cahill, Cleveland; Chris Comella, Cleveland; Zach Darmanian-Harris, Cincinnati; Jacob Dehus, Worthington; John Dixon, Cincinnati; Jack Garriott, Columbus; Freddy Hill, Lakewood; Michel Ina, Lyndhurst; Tim Karoleff, Cincinnati; Mark Moskovitz, Cleveland Heights; Brad Musuraca, Cincinnati; Mike Nauman, Cincinnati; Jason Radcliffe, Rocky River; Joseph Ribic, Willoughby; Kevin Shahan, Kent; Hayes Shanesy, Cincinnati; Shawn Sowers, Perrysburg; John Strauss, Canton; Tarik Yousef, Raymond; and Stephen Yusko, Lakewood. 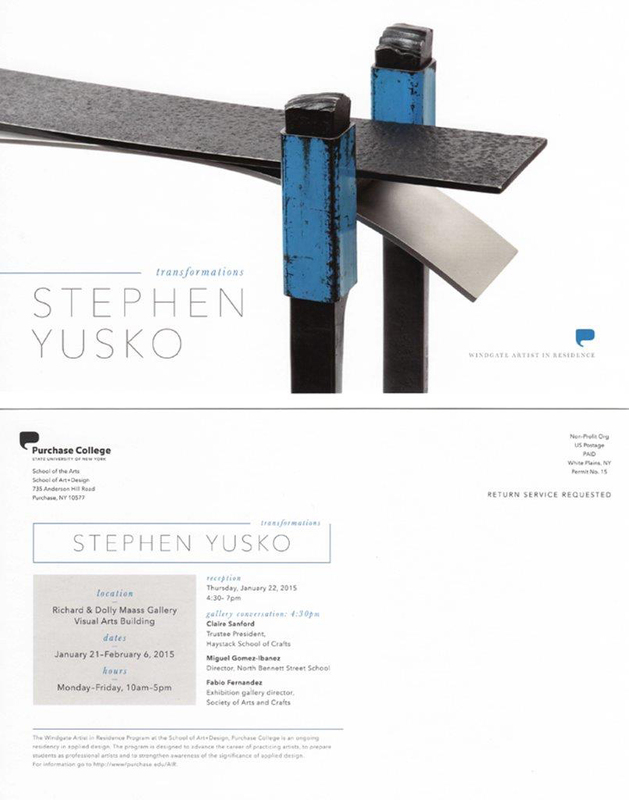 Stephen Yusko was awarded an Ohio Arts Council Individual Excellence Award for 2013. Through OAC funding programs that provide support to artists and make arts activities available to a broad range of Ohioans. By providing services that help enhance the growth of the arts. The Ohio Arts Council operates 25 grant programs and five service programs. The Arts Council builds the state economically, educationally and culturally to preserve the past, enhance the present and enrich the future for all Ohioans. The Arts Council believes the people of Ohio should share the arts. The arts arise from public, individual and organizational efforts. The OAC supports and encourages those efforts. What an incredible honor to have been chosen for this award. My deep appreciation goes out to the Ohio Arts Council for their recognition of my work.